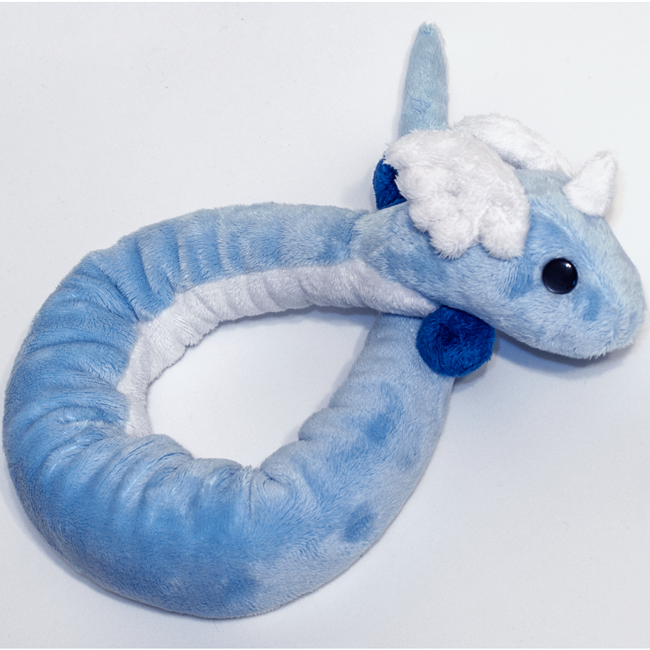 A break from my more complex plushie designs, this is an adorable and simple plushie of the elegant dragon pokemon, Dragonair. The plushie is made from minky for a soft, cuddly touch and bubbly look. 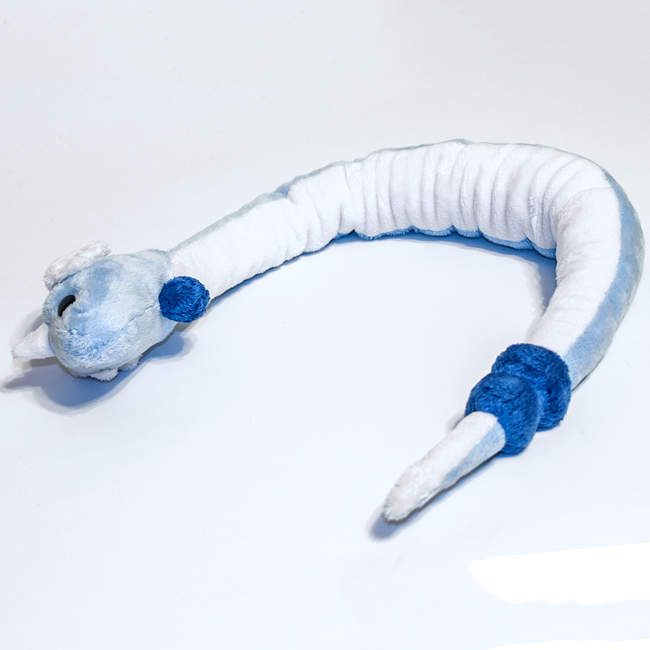 Packed with high quality stuffing, and plastic bean pellets in his belly for better movement and a fun feel when you hold him. 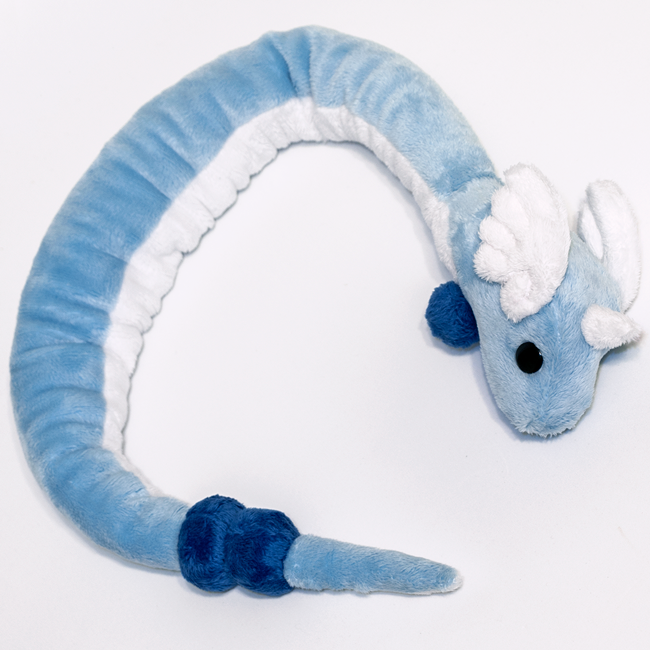 If you would like a Dragonair larger and longer than 25", I can adjust the size slightly larger for added cost, so feel free to ask!